In each instalment, we consider the incentives or pressure applied to make in-app purchases, their perceived value, the expansion offered by IAPs and the overall value of the experience. The end goal is to see whether the game makes a good enough case for us to part with our cash, or whether players are content - or engaged enough - to 'freeload'. This time, we're taking a look at Com2uS' evergreen RPG Summoners War. Launched back in 2014, progress continues apace for Summoners War. One of the first gacha-focused mobile RPGs to make a splash outside Asia, the game has now become one of only a select number of mobile games to hit $1 billion in lifetime revenue. This follows previous reports in July that Summoners War's overall takings had just passed $890 million, suggesting growth at quite a remarkable speed. Summoners War has arguably been the most influential gacha RPG in the West. One factor behind this may be Com2uS' increasing efforts to position the game as an eSport, with its first ever US-based tournament offering a $25,000 prize pool and ranking among the five most-viewed daily broadcasts on Twitch. And with the bulk of Summoners War revenues coming from outside its native South Korea, it's clearly found a wider audience than one might expect of a squad-based fantasy RPG. Summoners War was far from the first game to combine a deep gacha-fusion metagame with ultra quick, autoplay-enabled battles, but it has been arguably the most influential in the West. Indeed, games like Alliance: Heroes of the Spire from US studio Rumble Entertainment could fairly be described as Summoners War-likes. This makes playing Summoners War in 2017 a fairly familiar experience, with a core loop of playing battles, earning scrolls to summon new monsters, and fusing unwanted monsters to strengthen active squad members. Monsters also gain experience by completing battles and can be further buffed in certain areas using Runes. It's the way in which these mechanics interlock, and a difficulty curve which means there are always attainable targets within reach, that makes Summoners War so easy to lose so many hours to. The complexity of the game's upgrade system and the tactical potential run deep. But more than this, though most players will remain in the shallow end, the complexity of the game's upgrade system and the tactical potential of optimising your squad run deep. Summoners War features two main currencies: Mana and Crystals. Mana is the soft currency, feeding into the base-building strategy aspect of the metagame. It's generated at your base, much like Gold in Clash of Clans, and can be used to buy buildings and defences. 300 Mana can also be used in conjunction with an Unknown Scroll to summon a Monster of one-to-three star quality - mostly just fusion fodder, but the low-level characters that will fuel most players' progression. Providing yet more uses for Mana is a Magic Shop with a regularly rotating stock of Runes, Scrolls and Monsters to buy. The selection changes hourly, but this can be done immediately in return for three Crystals. Crystals come in bundles ranging from 72 for $2.99 to 2,400 for $99.99. 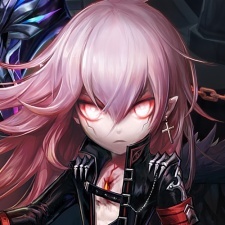 They're used variously to revive Monsters in battle (10 Crystals, approximately $0.36), to summon a three-to-five star Monster without need of a Scroll (75 Crystals, slightly more than the base IAP of $2.99) or for timed bonuses such as EXP Boosters. Crystals don't play such a significant role as to be restrictive in their absence, although they're not doled out in great numbers, while Mana rarely seems to run dry. Summoners War uses scarcity, drip-feeding Unknown Scrolls. 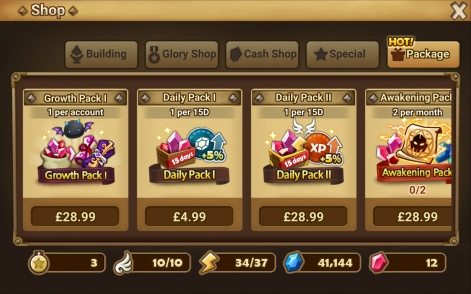 Summoners War does use scarcity as a design technique however, particularly with the drip-feeding of Unknown Scrolls. This is in stark contrast to Hero Cores in the aforementioned Alliance: Heroes of the Spire, the loop of which was consequently based strongly around frequent summoning and fusion, whereas Summoners War puts more emphasis on honing existing Monsters through repeated play. The game also features an energy system, so as to gate session length, although it is not so restrictive as to feel limiting in an average session. So the systems at the heart of Summoners War are by now relatively familiar, but it also plays host to some monetisation techniques that are less so. The principal of these would be annuities, which offer better value rewards with the condition that they are chunked up into daily rewards over a set period rather than awarded all at once. These so-called Daily Packs are aimed at the lower end of the IAP spectrum, costing $4.99 and $29.99 apiece, offering rewards for 15 days. They can be bought and activated recurrently, but not stacked. 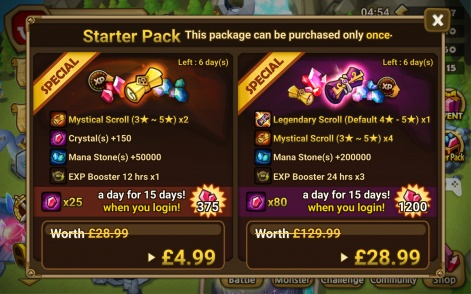 The starter packs - deployed at the perfect time, giving the player long enough to grasp what's going on - are essentially one-time upgrades of these offers, with the same price, only more currency up for grabs and some scrolls added in for good measure. The player can also buy 50 Runes for 180 Crystals, with the reward divided into 15 per week, or 50 Magic Symbols for the same cost delivered at a rate of 10 per week. Offering such a wide variety of bundles can only be a good thing. Bigger, one-off bundles also come with limitations, the majority being restricted to two per month. As Com2uS shifts its focus more and more to PvP, this is surely sensible to maintain balance. In a game like this, offering such a wide variety can only be a good thing. Those who want instant rewards are well-served, while those who are willing to wait it out for better value are also accommodated. And as always, the use of annuity in a starter pack seems a shrewd move, investing the first-time spender in returning daily to collect their rewards. Summoners War may not feel like anything particularly special now, but that largely speaks to Com2uS' success in bringing many of its ideas into the Western mainsteam. It wasn't the first gacha RPG and it won't be the last, but it's such a well-oiled machine now that it's easy to see why so many have spent time and money on it since 2014. It's a game that understands what players want and does a good job of offering that through IAPs - the value of which is clearly communicated. If Com2uS can grow the competitive scene on top of this, the sky's the limit. Want to learn more about monetisation? We'll be hosting a Monetise, Retain, Acquire at Pocket Gamer Connects Helsinki 2017 on September 19th and 20th. You clearly have been bought off. 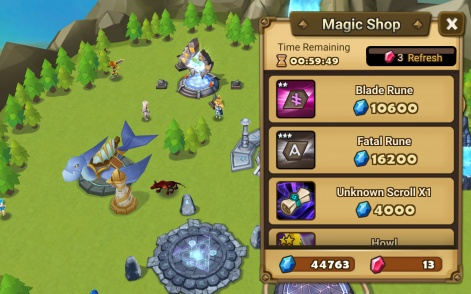 First, Mana is ALWAYS on the extreme short supply, unless ypu spend thousands on dollars spamming the b10's for runes, of which maybe 1 in 1000 is worth keeping! Next, To get quality mons, relies on extremly tilted RNG. The entire game boils down to who has spent the most AND spammed b10 ( preferably dragons b10 ) for runes, and runes with exceptional speed subs, as speed matters more than anything. To participate in these RTA events, qnd stand a chance, one must have entire teams over 250 speed prior to totems, speed leads and buffs. 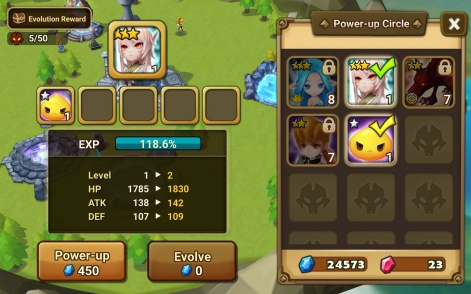 If you do not have a Gany, Tablo, Iris, Tiana / Chiwu or Velajuel / Woosa, simply don't bother. Summoners war can never br an esport because the entire game is so heavily geared towards massive spending, that to get 1 decent 6☆ legendary rune, before upgrades, for F2P can and does take years! How can any game which literally forces players to spend to compete ( rune reapprasail stones and the NEED to run b10's tens of thousands of times just to rune a single mon ) ever have the audacity to call itself an esport? And the author of this article has clearly taken a golden handshake for his blatantly fraudulent and false article! Hi Tony, there is nothing "fraudulent" or "false" about this article and no money was exchanged for it. Rather it was a well-researched piece examining the monetisation practices of the game. Of course, whether it can become a very successful eSport in the long-term remains to be seen, but there already appears to be an audience for it.